Learning about coding and programming through books may seem counterintuitive. Surely, everything you might ever want to know about programming languages and run-time environments, such as Node.js, is already out there, free or easy to purchase on the Internet. 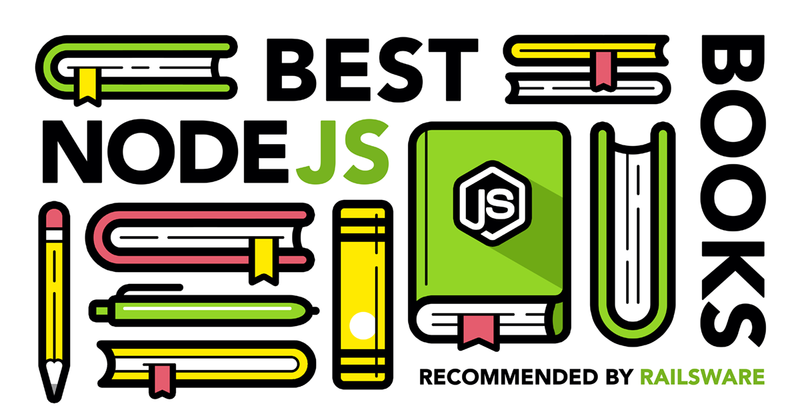 We have reviewed a long list of books in the world’s largest bookstore, Amazon, where there are over 1,500 books on the topic, and have put the following list of the best Node.js books for beginners. Providing you are approaching these sources of knowledge with an understanding of JS – in theory, or practice – the information you should absorb from these books should prove to be useful to start with Node.js. With many positive reviews on Amazon, Beginning Node.js is a good place to start for those new to creating maintainable Node.js applications. Basarat Ali Syed is a senior developer at a software company in Australia, manages a YouTube channel to teach newbie developers and regularly contributes to open source communities. Azat Mardan is an accomplished developer, a Technology Fellow at Capital One, and author of twelve books and numerous online courses on JS and Node.js. Before he joined Capital One, he was responsible for leading the team that rebuilt the DocuSign web app, with over 50 million users. He has worked with and taught web technologies at numerous large companies, including Cisco, Walmart and the US government. 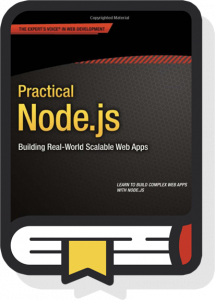 In the first edition of Practical Node.js, you can learn how to build a wide range of scalable real-world web applications using a professional development toolkit. Although this book is suitable for beginners, having some working knowledge of Node.js beforehand is useful, since the author does dive into topics, such as how to use the full-stack of applications, including the Express.js and Hapi frameworks and MongoDB database, and numerous other packages, standards and frameworks in the ecosystem. 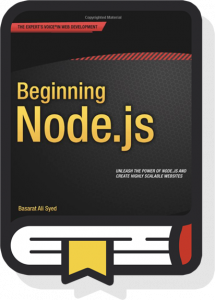 Although we do recommend this book as one of the best Node.js books on the market, a new version will be released in April 2018, which will cover numerous changes and advances since the original was released. 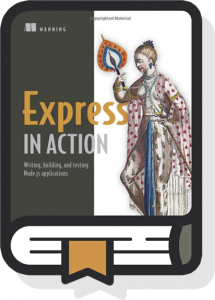 Express in Action explores key development techniques and introduces readers to an environment of tools and libraries, with the aim that you should be able to use Express to build a Node.js application, test it and automate the development process. 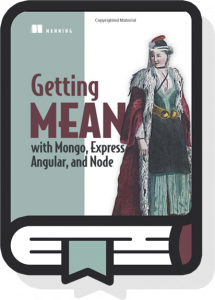 The author is an experienced developer who regularly contributes to the Node, Express and JS open-source communities. 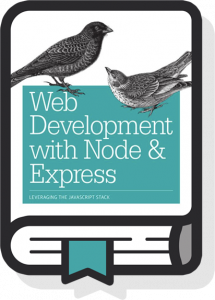 We don’t hesitate to recommend this for those beginning Node.js and getting to grips with Express. Short and full of practical programming examples, this was one of the most useful tutorials to emerge in the last few years. It’s still useful for those who are starting to read Node.js books since you come away with a considerable dose of theory. However, the examples are now outdated, forcing those who want to practice to refactor the code or load examples that are over three years old. Thankfully, a new updated version is on its way, now that the author – a senior engineer at Google – has experienced continued writing success after co-authoring, Seven Databases in Seven Weeks: A Guide to Modern Databases and the NoSQL Movement. 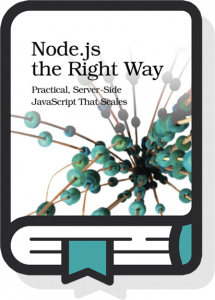 This is still one of the best Node.js books around, and we suggest pre-ordering the new version to ensure your practical knowledge is up-to-date. Once you’ve started getting used to building web applications using Node and Express, this hands-on guide will help you familiarise yourself with key components in the JS stack. This useful and highly-rated book will give you practical guidance for building single-page, multi-page, and hybrid web apps with Express, with an updated version due for release in February 2018 (pre-order on Amazon now). Ethan Brown, the author of the book, is a senior software engineer responsible for the architecture and implementation of websites and web services for clients ranging from small businesses to international enterprise companies, with over 20 years experience. For experienced developers, one of the best Node.js books in 2017, is one that will make it easier for you working on live projects. 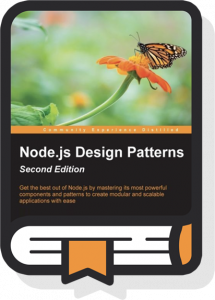 Node.js Design Patterns is one of those books that you can use and put into practice straight away, especially if you want to acquire a deeper understanding of how to design and develop enterprise-level Node.js applications. Both authors are experienced developers, and almost every review is five stars, with many readers hoping they will release a third edition soon to ensure the content keeps pace with continued advances in the industry, ecosystem, and open-source libraries. Another Node.js book that isn’t only about Node, Express or even JS, but encompasses a wider ecosystem. Designed for experienced developers to help them implement practical projects, this book teaches readers how to develop web applications end-to-end using the MEAN stack, taking us through one technology at a time up the stack. Although by no means comprehensive, the list above contains several useful works on Node.js and the surrounding ecosystem for experienced and newbies. For many, these books can serve as starting points allowing you to dive into new areas of knowledge and advanced skills you already have to take your coding abilities further. 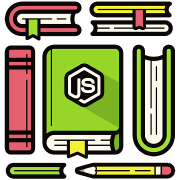 Every developer learns something new every week, so we hope these Node.js books prove useful whether you are a student or already developing Enterprise-level server-side applications.